Amman (AFP) - Jordan on Sunday accused Israeli authorities of barring top Palestinian Muslim officials from Al-Aqsa mosque in annexed east Jerusalem. Sheikh Abdel Azim Salhab, head of the Waqf religious authority that runs the site in the disputed city, has been barred for 40 days and his deputy for four months. 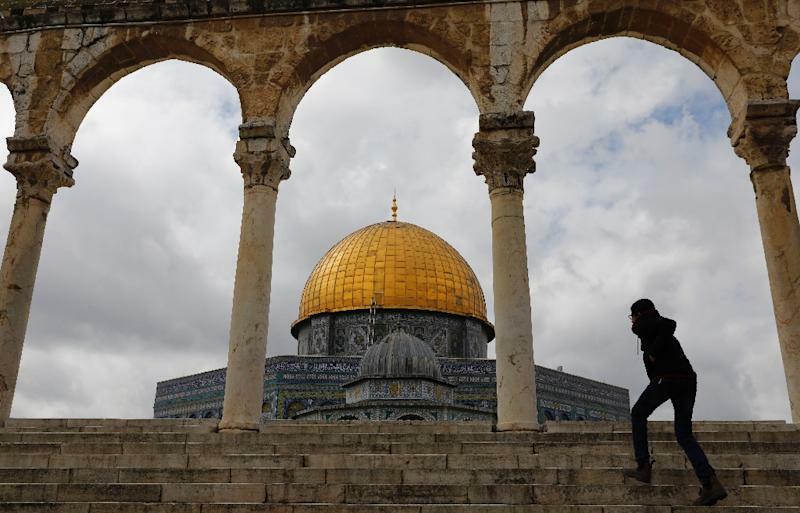 Two other religious officials have been detained, Firas al-Dibs, spokesman for the Waqf which answers to Jordan as custodian of Al-Aqsa, the third holiest site in Islam after Mecca and Medina, told AFP. Israeli police, contacted by AFP, had no immediate comment on the reports. Jordan's minister for religious affairs, Abdel Nasser Abu-Bassal, quoted by state news agency Petra, accused Israel of "a new escalation aimed at impeding Waqf's work in Jerusalem and intimidating its members". Scuffles have broken out between worshippers and Israeli police around Al-Aqsa since late February over access to a side building in the compound closed by Israel since 2003. The site is located in the Old City of east Jerusalem, occupied by Israel in the 1967 Six-Day War and later annexed in a move never recognised by the international community.